Even though it’s late September, it’s been feeling like summer lately, apart from yesterday, which was pretty cold and hazy. Which is the way it should be, I want to dress all autumny in jumpers and coats and complain about how cold it is. Autumn is the best and I feel cheated. I am tired of being hot and sweaty wearing jumpers, I want to wear them and feel just right. I was going to say just right like Baby Bear’s porridge in Goldilocks and the three bears, but it just sounds…inappropriate. I’ve been very unmotivated the past few days, and motivation hit me like a truck before. Now, in the hour that I have, I’m uploading a video that I edited at lightening fast speed, thankfully it didn’t need much editing, and now I’m trying to type a blogpost, and finish it. So, to welcome Autumn and to say goodbye to my demotivated couple of days, I thought I’d share some of the cool things I did this Summer, in a Summer sum up. I’m usually great at puns but none are coming to me right now! I can’t wait to visit Paris again in the future. I don’t intend to go back anytime soon but I do love that city. I also went to see Scott Bradlee and Postmodern Jukebox, with my Dad, as his father’s day gift. I adore PMJ, and he really likes them too. Make sure to check them out, their music is phenomenal. Here’s a photo that Mr Bradlee himself took. 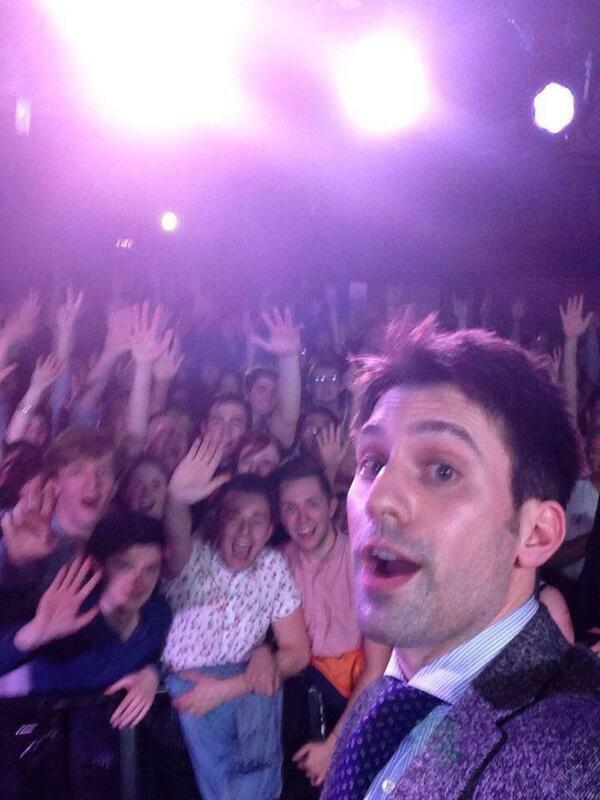 You can’t see me in it, even though I was RIGHT at the front, because I was stood directly behind where he was taking the selfie! Maybe next time! Not long after that, it was my 19th birthday! I didn’t really do anything big, but I got to see a lot of my friends for the first time in a while, and also go bowling and go to an arcade. Arcades are my absolute favourite thing on Earth. The Kim Kardashian game happened, which affected us all. I also went to London to see Fae and go to Summer in the City which was so much fun. A tiring weekend, but an amazing and memorable one non the less! I think I will probably end up doing again next year, maybe I could even work my way onto the list of guests?! Who knows! 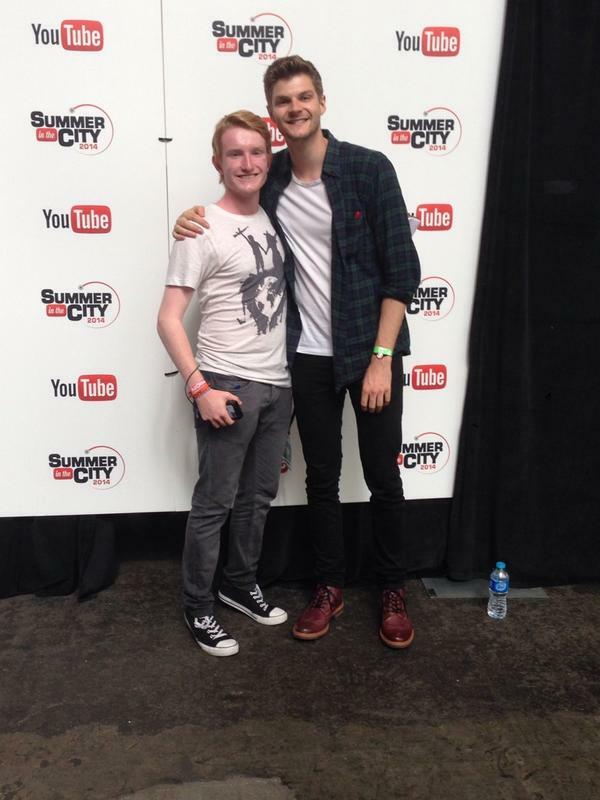 Meeting Jim Chapman was great. I love that chappy. And the shoes he was wearing. I have stalked where they are from and hot damn I want a pair. My vlogs from Summer in the City are my actual favourite videos ever! They make me so happy every time I watch them. Overall, it was a pretty awesome summer. Even if I did spend days on end at home, or visit Starbucks out of boredom some days. I got to do great things and hang out with some of my favourite people in the world, and now more exciting things are to come, with uni just starting up again, and a few YouTube related events coming up in the next few months! Thanks for reading, it means a lot when I see people have actually read my posts!